While things can change from concept to production, the caption provided by Singer does confirm that Ben Hardy, who plays Angel, will be in this scene. 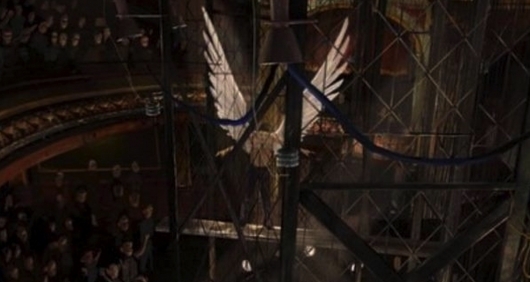 When describing Angel at Comic-Con last month, Hardy said that the winged-mutant would have “serious badass wings.” Interestingly enough, early concept art revealed Angel had mechanical wings, which would lead fans to believe that the character would undergo the same transformation in the comics that would turn him into Archangel, the mind controlled Horseman of Apocalypse, who had his stripped wings replaced with metal ones. Wolverine was actually in a fight club of his own in the first X-Men film, but he was hiding his powers while fighting against humans. So it should be interesting to see who Angel will be fighting and if Apocalypse or one of his servants will free him. 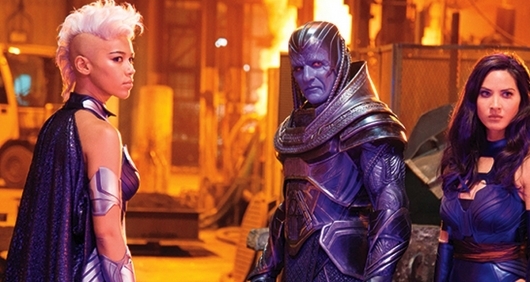 Directed by Singer, using a script written by Simon Kinberg (who is also a producer on the film), X-Men: Apocalypse stars Even Peters, Lucas Till, Lana Condor, Nicholas Hoult, Jennifer Lawrence, Michael Fassbender, James McAvoy, Kodi Smit-McPhee, Sophie Turner, Oscar Isaac, Olivia Munn, Ben Hardy, Alexandra Shipp, and Tye Sheridan.